Check out my slabs of fat. Why would you want big slabs of cow fat? Where do you get them? How do I turn that ugly slab of fat into something usable? Woah, woah, woah. Let's take it a question at a time. What is suet used for? 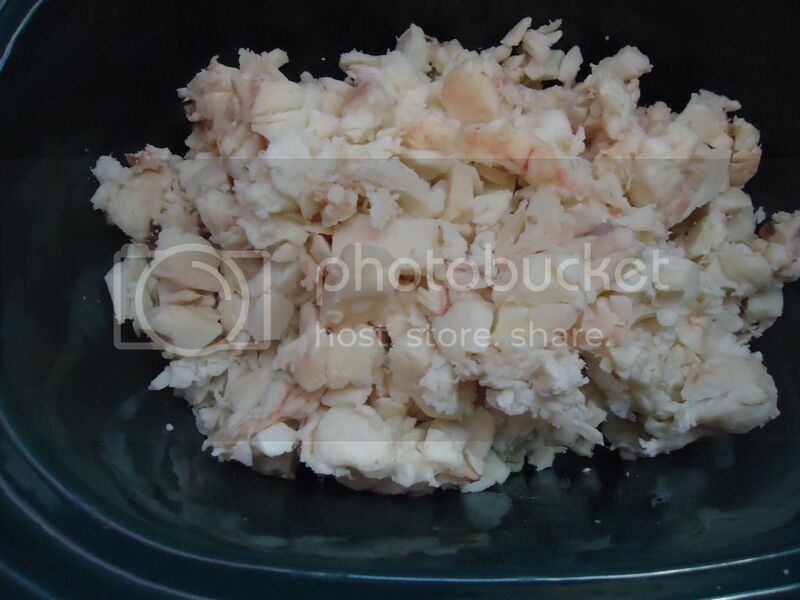 Suet is normally used to make tallow. 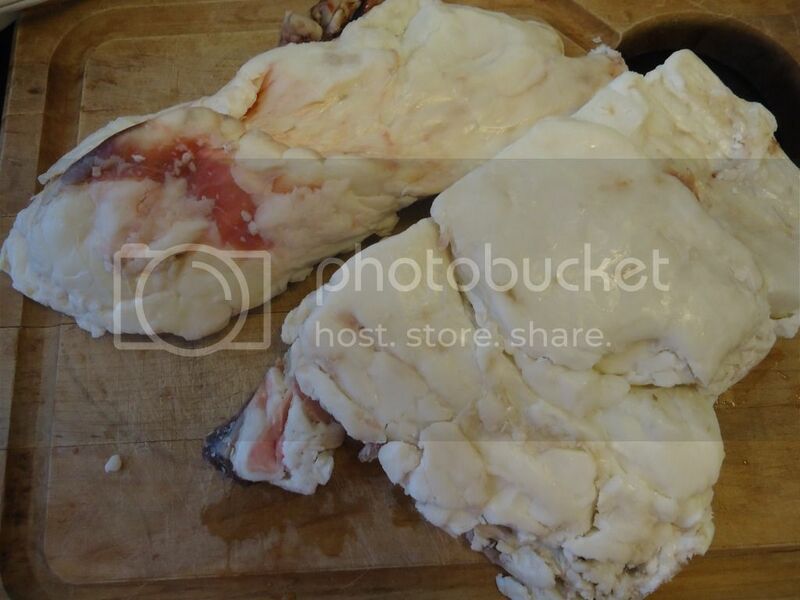 Tallow is rendered beef fat. Tallow will remain solid at room temperature (similar to shortening, but a bit harder) and can be stored for long periods of time. Tallow can be used for cooking, to make candles and soap, and even as a leather conditioner. Suet is also commonly used as bird food (see my post on Homemade Bird Treats). Also, if you have chickens, they will thank your for sharing some of your suet with them. Where can I get suet? If you purchase beef from local cattle farms, you can probably find some suet there, or check with a local butcher. 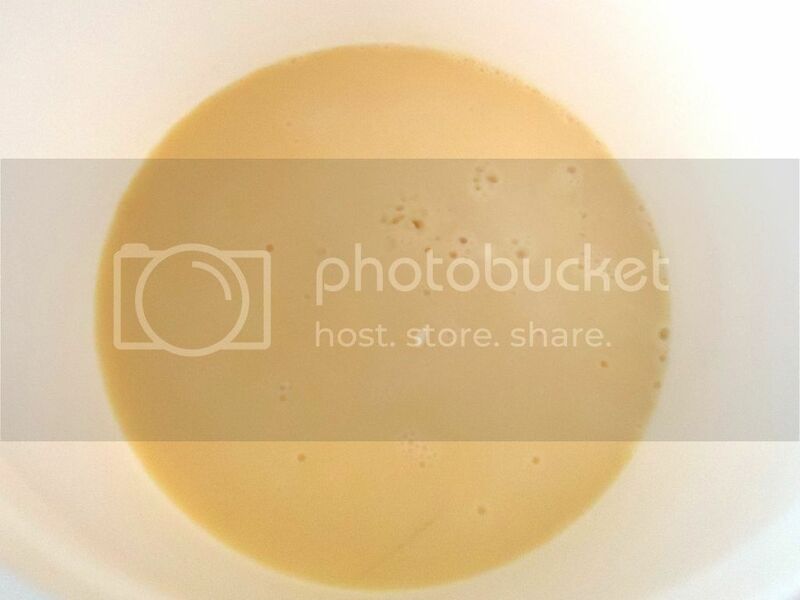 Many times you can get it for free. Your grocery store may also carry suet. Generally, it is very inexpensive; I believe our local grocery store carries it for around $1.50 for a couple pounds. It is in the frozen meats section at our store, but try looking in the fresh meat department as well. Rendering suet into beef tallow is very simple. You simply heat it, melting the fat, as in the following recipe. The same procedure can be used for rendering other animals fats, such as deer tallow or lard. 1. Cut off any pieces of meat still clinging to the fat. 2. Chop or grind the suet. The smaller the pieces, the more quickly it will render. 3. 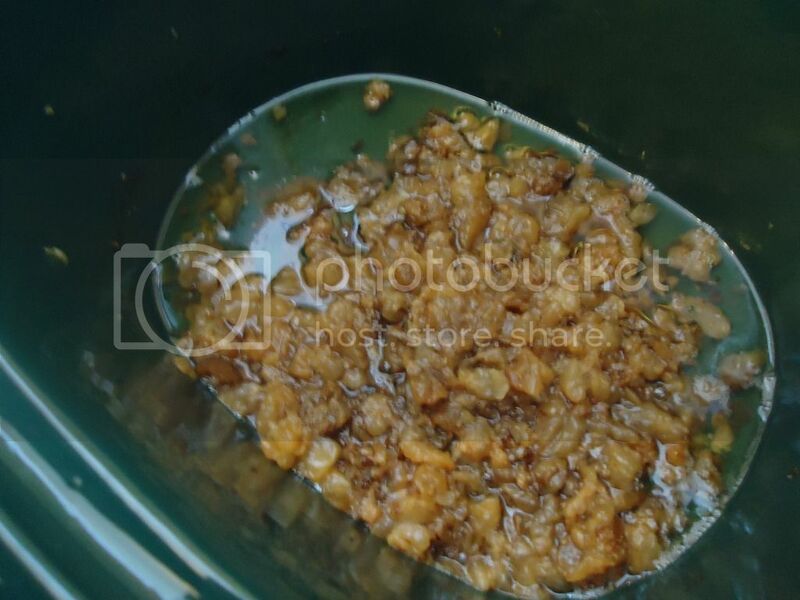 Place the suet in a crock pot with the water, cover, and set to high. 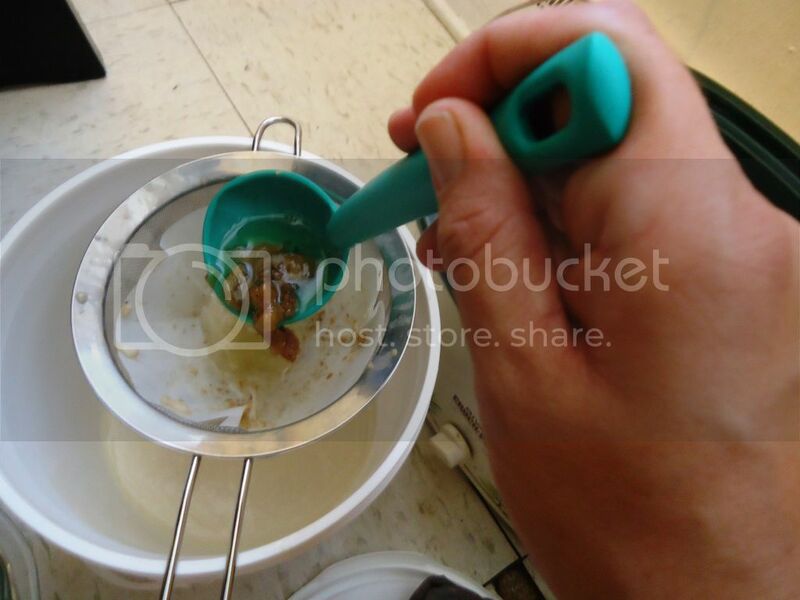 Alternatively, place the suet in a pot, cover, and cook on the stove over medium-low heat. 4. As the suet heats, the water will evaporate, and the fat will start melting off. The fat can be ladled off through a strainer into a heat-proof container as you are cooking it. At some point, you will be left with only brown, crispy bits. These are known as "cracklins." I have heard of people eating them, but I normally just save them for the chickens. 5. Store your beef tallow in a cool, dark place inside an air-tight container. Most commonly I use beef tallow and lard for making soap. Animal fats make some of the best soap--good lather, conditioning to the skin, and a firm bar that won't melt away in the shower like some made with vegetable oils. Tallow and lard are also great for cooking. You may have heard of lard used in pie crusts--it produces a nice flaky crust. If you are going to use your animal fat in baked goods, you'll want it to be the fat you spooned off first. Typically, as you get to the bottom of the fat, it gets a stronger "animal" flavor that you may taste in your baked goods. The first fat ladled off however, is generally going to be your purest: snow white and odorless. Aside from baked goods, animals fats are the best for frying foods. Firstly, they are the far healthier than processed vegetable oils, and are able to be heated to high temperatures without forming damaging free radicals as other, more fragile vegetable oils. Try making homemade french fries fried in tallow; they beat McDonald's soybean oil french fries hands down. You can also saute vegetables in tallow or lard, to make stir-fry for example. Basically, you can use tallow and lard in place of any fat used in savory dishes. What are your favorite uses for tallow or lard? This post is very nice. Love to eat beef dishes. It is very delicious to look at. Thank you for sharing the ingredients and recipe. Hope your next recipe will published soon.